UU A Way Of Life: Is it just for everyone to be happy? Is it just for everyone to be happy? Unitarian Universalists covenant together to affirm and promote justice, equity, and compassion in human relations. What is justice? You deserve to be happy. You deserve to have a high quality life. Do you believe these two statements? Do you believe they are true for other people as well? It has been said in A Course In Miracles that justice demands it. On the path of the ego, it is believed that justice demands vengeance. Justice, on the path of the ego, demands that people are compared and found unworthy and offensive. We prefer to see other people found guilty and punished rather than ourselves. This preference in other people's guilt and punishment is based on our belief that justice demands it. On the path of the spirit, it is believed that justice demands fairness. Justice, on the path of the spirit, recognizes and acknowledges that all human beings are children of God and as such fairness demands their happiness and high quality life all alike. Our function, on the path of the spirit, is to encourage people's happiness and high quality life like our own. Is your God a just God? If so, your God loves everyone one of God's creations uncondtionally. As Sister Helen Prejean said in Death Man Walking, "Every person is worth more than his worst act." Justice demands that everyone be treated is such a way as to increase their happiness and quality of life. Anything less leaves justice lacking. 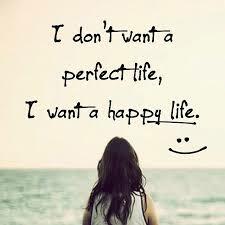 what I am getting from this is that if some is not happy and doesn't have a high quality life something is wrong. It is not normal for people to be unhappy. They don't deserve it. It is not what God created them for. The version of Trumpism circulated in the United States and around the world is that some people deserve to be happier than others. The "Me first" campaign slogan which is a translation of the meaning "Make America great again" rallied the greedy, the entitled, the misguided. America, the land of plenty, is one of the most immoral nations in the world when it comes to its national policies and the people who vote for them. Republicanism conflated with Trumpism will be overcome when the poor people march in 50 years later, once again in May 2018.